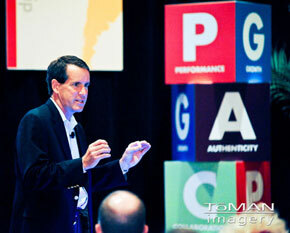 Dan Coughlin giving the keynote address at the Shell Oil North American Marketing Conference. In 1998, Dan Coughlin founded The Coughlin Company, Inc., a management consulting firm that works with business leaders on an individual and group basis to increase their effectiveness and significance. Effectiveness – acting in a purposeful way that improves key results in a sustainable manner. Significance – making a tremendously positive and lasting impact on an organization. His areas of emphasis are leadership, communication, teamwork, productivity, innovation, and branding. His client list includes McDonald’s, Toyota, Kiewit Corporation, Affiliated Distributors, Marriott, BJC HealthCare, Coca-Cola, GE, Anheuser-Busch InBev, McCarthy Building Companies, Shell Oil, RE/MAX, Subway, Abbott, Prudential, Boeing, Cisco Systems, American Cancer Society, and the St. Louis Cardinals. Since 1998 he has worked with more than 200 organizations. Dan serves three roles for his clients: teacher, advisor, and guide. His approach is being down-to-earth, friendly, encouraging, patient, results-focused, honest, firm, engaged, respectful, open-minded, caring, collaborative, prepared, and challenging. It’s an approach that avoids arrogance, rudeness, putting people down, sarcasm, negative judgments, and belittling other people’s efforts. Dan’s core belief is that any person can make a significant difference in an organization, but no one is born with the traits necessary to make a significant difference. These are learned thinking traits. 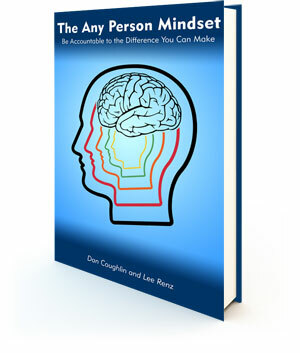 He is the co-author of the book, The Any Person Mindset: Be Accountable to the Difference You Can Make, which has been endorsed by Seth Godin, Jason Jennings, and Marshall Goldsmith. 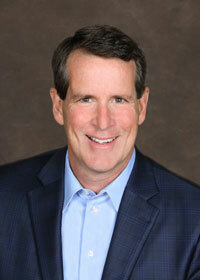 He has provided more than 4,000 Executive Coaching sessions to more than 250 business leaders. Quoted in USA Today, Investor’s Business Daily, The Journal of the American Management Association, and dozens of other publications, Dan Coughlin’s articles have been published in more than 100 trade association publications. 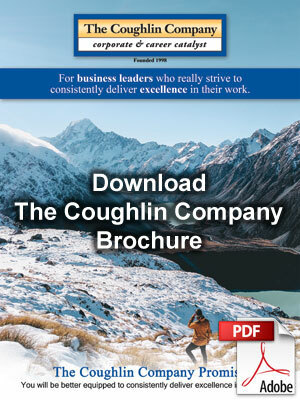 Click Dan Coughlin’s Services to see a complete list of the services he provides.